Redmi 6A Hands-On Review: Read This Before You Buy! We checked the performance, looks and feel of Redmi 6A, hands-on. Xiaomi’s Redmi 6A is now available for buying, for the first time in India. This budget smartphone is available on both Mi.com and Amazon India website. Priced at Rs 5999, Xiaomi has projected this budget smartphone as a powerhouse of a performance. A lot of hype has been created, and there is tremendous excitement for this model. Is this a good smartphone to buy? Hereby, we present a hands-on review of this smartphone, and will help you to take a decision! 2 Redmi 6A: What The Box Says? 5 Redmi 6A: How Is The Camera? As we unboxed the device and held it in our hands, the first impression was: Ok, for Rs 5999, not a bad deal. 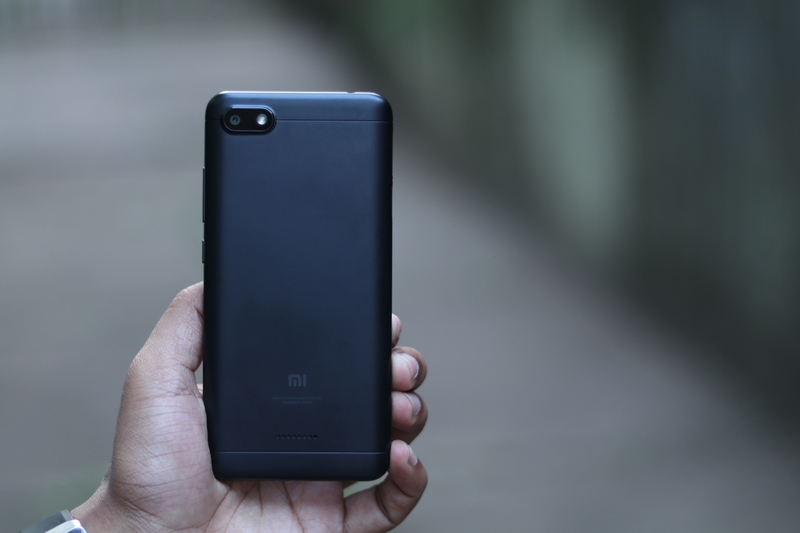 The looks and feel of this smartphone are just like what every Xiaomi device feels like: Dependable, classy and fit. It slides seamlessly into an average Indian hand, and it looks good from a 3rd party angle. There is, of course, bezel, but the design of that has been created aesthetically. The bezel narrows down sideways and is visible, no doubt. But it doesn’t interfere with the overall looks. The body is sleek, compact and sturdy. For Rs 6999, we strongly believe that the deal is great! Redmi 6A: What The Box Says? The demo device which we received is a dual-SIM, 2GB RAM and 16GB external memory, whose price in the box was mentioned Rs 6999. However, it is being sold for Rs 5999, and we will maintain that figure in the review. The box says that the device has 5.45-inch screen, 12 nm Helio A22 quad-core processor, which makes the device a powerful tool for photography enthusiasts. Helio A22 quad-core processor by MediaTek has been created for camera-focussed hardware. A 3000 mAh battery has been included, which directly means that it will be long-lasting. The microphone and USB port is situated in the bottom, while there are two opening sideways: One for the tray with SIM cards and the other one with a tray for Micro SD card. These two trays again make Redmi 6A an interesting option, because very few smartphones are equipped with the same now. In the upper part, there is a 3.5 mm jack slot, and a noise canceling microphone as well. Plus one to Xiaomi for this. On the other side, one can find volume buttons and power button. Overall, the built quality and looks externally doesn’t seem like a smartphone with a price tag of Rs 5999. Xiaomi has really invested to make this phone ‘appear’ expensive! Compared to the price point, Redmi 6A’s display is stunning, to say the least. 5.45 inches display with HD quality visuals is actually rare in a smartphone priced at Rs 5999. The visuals are appearing fine, even when viewed under the Sun, and the colors are vibrant and original. Infact, we won’t hesitate to declare that Redmi 6A has one of the best displays for the sub-Rs 6000 categories. Redmi 6A: How Is The Camera? The camera part isn’t that great, as we had many expectations from Xiaomi. The rear camera is 13 MP with flash, and selfie camera is a 5 MP normal camera with no flash. We shot some pics, and well, they were below average, to say the least. In case there is less natural light, the pics are appearing somewhat distorted, and the color changes. In the camera department, the phone scores less. But again, it is a budget category smartphone, and one can’t complain too much! Music department here is well endowed, as the speakers produced decent quality sound, even on full volume. The speakers are situated in the backside, which can restrict the user to listen optimally when placed on a surface. Looks, performance and price: Redmi 6A balances perfectly on these three criteria, and emerge as the winner of budget smartphones. If your budget is under Rs 6000, then Redmi 6A will prove to be a great bargain.